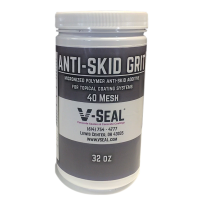 Acrylic topical coatings are the cheapest and easiest topical coating systems to apply. Solvent based acrylics (Industra-Gloss SB & Industra-Gloss SB LVOC) will provide high color enhancement and high gloss, also called the 'wet look.' Water based acrylics (Industra-Gloss WB) will provide low color enhancement and low gloss. Our acrylic topcoats all contain pure acrylic resins and have high 25-30% solids. Pure acrylic resins provide a non-yellowing coating that will last longer than cheaper substitutes found in large box stores (styrene acrylics are a common substitute). All topcoats must be maintained over time, even the best acrylic topcoats are typically re-applied every 1-3 years to renew appearance and protection. To learn more about the different types of topcoats available, click here. 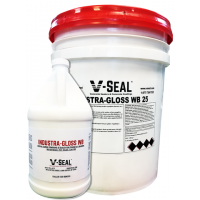 **Industra-Gloss 350 and Industra-Gloss SB LVOC are low VOC versions of Industra-Gloss SB, offered in states with VOC regulations: CA, CT, DE, DC, IL, IN, ME, MD, MA, NH, NY, NJ, OH, PA, RI, WA. Not available in California Counties: Orange, Riverside, Los Angeles. 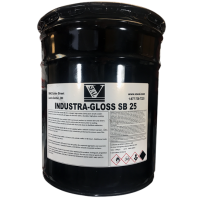 **Industra-Gloss 350 is a new product that will be replacing Industra-Gloss SB LVOC for distributing purposes only. 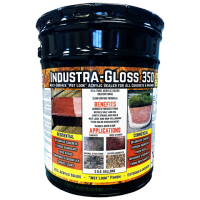 Industra-Gloss 350 has all the benefits of Industra-Gloss SB LVOC (25% solids pure acrylic resin), and is identical in application.